Barry Zyskind is a recognized leader in the financial services sector, currently serving as Chairman, CEO and President of AmTrust Financial Services, a property and casualty insurer ranked among America’s fastest growing companies. Barry began his career as an Investment Banker at Janney Montgomery before joining AmTrust. He received his MBA from New York University Stern School of Business in 1997. Barry Zyskind is on the management board of “First Non-Profit Foundation" - a private grant-making organization in Pennsylvania that seeks to strengthen the entire nonprofit sector in America. Barry has twice been recognized by Forbes. In 2012, he was listed as the 11th most powerful CEO under the age of 40. 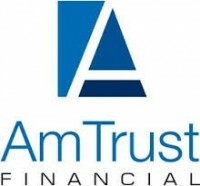 Then in 2014, under his leadership, AmTrust was listed as America’s best managed insurance company.